Pembroke oil refinery is a multi acre site with a large amount of complex equipment, the control of which is vital to the production and safty. Ibex were initially commissioned to project manage with a design input the refurbishment of one of the main refinery control rooms. This highly complex project was additionally complicated by the control rooms need to stay operational twenty four hours a day seven days a week. The project took place within a very stringent health and safety regime which far exceeds that found on a normal site. The Ibex team were able to source sub contractors to work along side Ibex Director Trevor Hancock to carry out some of the innovative features of the design. Project manage the whole of the strip out and installation at the same time as liaising with control room operators and refinery management to ensure that the there was no disruption to the refinery operation. Ibex were the main M&E contractor working for main contractor Dean & Dybal for a new project for a recycling and new waste handling facility in Ford, Arundel. Ibex carried out the design and project management for the installation of all the piped services and electrical systems. The facility, housed in a steel framed building, consists of a receiving area, a very large waste handling floor and an office and education block. Ibex’s project management team designed and managed everything from the incoming water supply, the calor gas supply to the heating and ventilation to the offices. The mechanical works included air conditioning to the offices and lecture rooms, plumbing and electrical services including data cabling to the offices and control room. There were extensive three phase supplies to the waste sorting equipment. Ibex had to design lighting to allow for the fact that maintenance over the vast equipment would be difficult, once installed. 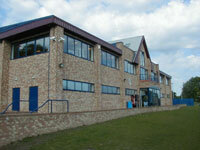 The exchange building based in Bridgewater, included a café complete with full kitchen, a conference theatre for up to 120 people, a gym with changing rooms complete with sauna and steam room, a number of small conference rooms, in addition to a child nursery, and 3 storey office block. The café with its lighting features, under floor and warm air heating and ventilation complete with heat recovery as well as full services to the kitchen. The conference areas all had cooling and various lighting schemes. The whole building had numerous toilets facilities as well as the showers etc. in the changing rooms. Ibex successfully designed and project managed the mechanical and electrical installations. Ibex Environmental carried out the installation of the mechanical & electrical services in the Toolstation’s large distribution warehouse. The works included the installation of large direct fired ware house air heaters using jet nozzles to assist the air distribution. The office section was provided with comfort cooling as well as heating. The electrical works included power and lighting to this vast warehouse, as well as the offices services. In both these installations Ibex carried out the full design, working along side the Architects and the developer’s own construction team. The offices were heated and cooled via a VRV heat pump installation. The warehousing facility provided Ibex with the additional challenge that the large 2m x 2m x 3m direct fired units had to be mounted at high level on support frames. Interpet has the largest sales team calling on pet and aquatic outlets in the UK. The ventilation had to incorporate a high degree of silencing facility to a music wing to prevent noise transfer from each room. Ibex worked closely on this project with the electrical contractors R.E.F. and since have worked together on other projects. Ibex recently completed a large office facility as well as a new factory and warehouse development in Harrow, combining mechanical & electrical services. 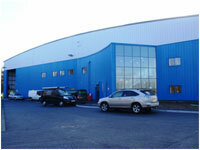 Ibex were part of a design and build team working together with main contractors Relkin Construction. HMS Belfast is an ongoing project, that included piping gas aboard the famous warship and tourist attraction moored by Tower Bridge. Ibex succeeded in providing ventilation to the function rooms and helped reduce the massive winter electric heating bills, by coming up with innovative ideas incorporating the existing duct work with new plant and direct fired gas heating Several companies and consultants had looked at the project, before Ibex were called in and succeeded in solving the problem. This project for Relkin Construction consisted of a large new sports facility which included a high tech gym as well as badminton courts. The courts and sports hall were heated by Ambi-rad radiant heaters, the gym and other auxiliary areas were fully air conditioned to make a first class complex. Both, Relkin and their clients were delighted with the performance of Ibex and since then Relkin have continued to use Ibex for other projects. FR Aviation had a new hanger workshop facility built at Hurn Airport which incorporated an excessively large hanger, the works also included a large office facility which was air conditioned. Ibex Environmental were employed by Ballast Construction for the complete mechanical services package which included plumbing, heating, to both factory and offices. Water services for the factory, as well as compressed air throughout. Following a fire which gutted most of the existing hotel, this unique project involved a rapid response on a complete re-build coupled with reconnection to part of the existing. During the course of the work the extent of damage proved to be greater than originally assessed by the clients.